Dubai: Gulf News, the leading English newspaper in the region, has launched an exclusive new subscription offer that includes chances to win Audi cars, a fully-furnished, brand-new apartment, and cash back and savings worth hundreds of dirhams. To celebrate its 40th anniversary, Gulf News is offering its new ‘It All Adds Up’ promotion to existing and new subscribers for Dh500 annually. Moreover, the first 500 early-bird subscribers will exclusively receive a total of Dh400 worth of shopping vouchers for Brands4U (Dh200) and BrandsBay.com (Dh200), in addition to all other offers in the new promotion. Our core subscribed circulation is something we nurture and this is what adds critical mass to our dominance in the realm of English newspaper readership in the UAE. ‘It All Adds Up’ offers not one but four mega raffles. The prizes to be won include three Audi A4 sedans through three raffles – on December 16, 2018; January 16, 2019; and February 13, 2019. The fourth draw, slated for April 10, 2019, ensures that one lucky subscriber will get his or her hands on the keys to a fully-furnished, brand-new one bedroom apartment by top Dubai-based property developer Damac. The offers don’t end there – savings worth Dh500 await each subscriber to the special 40th anniversary promotion. The savings come in the form of vouchers or discounts at select leading brands, covering everything from dining and fitness to health. For instance, there are two vouchers (worth Dh50 each) for Nando’s, a Dh200 voucher for VLCC, Dh100 off on selected products of Omron, and Dh100 off on Zomato Gold Membership. We wanted to ensure that both our existing and new subscribers have multiple chances of winning ... hence we urge all our readers to subscribe early. 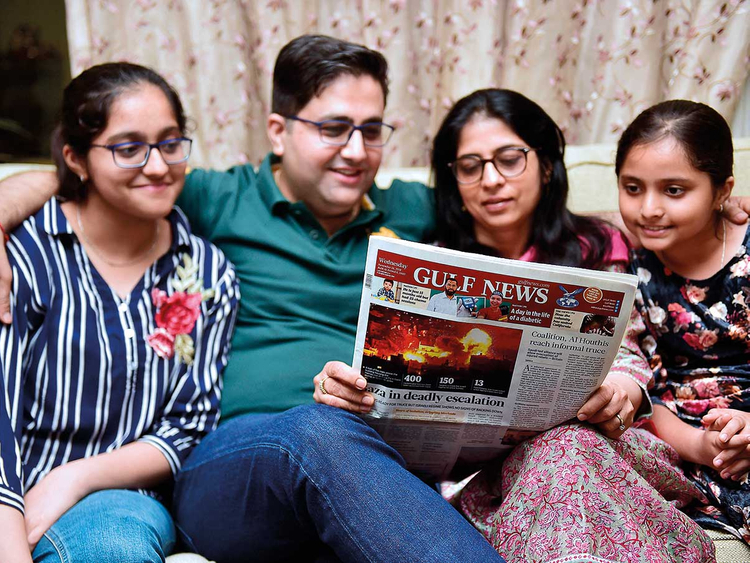 Commenting on the special new offer, Rajeev Khanna, commercial director at Al Nisr Publishing LLC, which is the publisher of Gulf News, thanked subscribers and readers for their support through the years. “I am truly delighted that we have been able to offer such a superb package to our subscribers, who have given us their unstinting support through the years,” Khanna said. Savings of Dh500 in vouchers or discounts, including two vouchers (worth Dh50 each) for Nando’s; Dh200 voucher for VLCC; Dh100 off on selected products of Omron; and Dh100 off on Zomato Gold Membership.